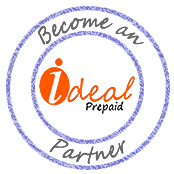 Ideal Prepaid is SA's leading sub-metering solution-provider and installer. From electric prepaid meters to water submeters, we install prepaid-meters in Johannesburg, Pretoria, Cape Town, Durban, Port Elizabeth, East London, Bloemfontein and other areas within South Africa. Tenants can easily recharge their pre-paid analogue or smart meter at thousands of locations such as: Shell, Caltex, Pick‘n Pay, BP, Checkers and Sasol petrol stations throughout SA. Get a prepaid electricity meter box and avoid landlord-tenant issues. Our energy meters (electricity) or water meters are available in single-phase (1 phase) or three-phase (3 phase) from a variety of manufacturers such as: Landis+Gyr, Elster, Hexing, Genus & Utility Systems.